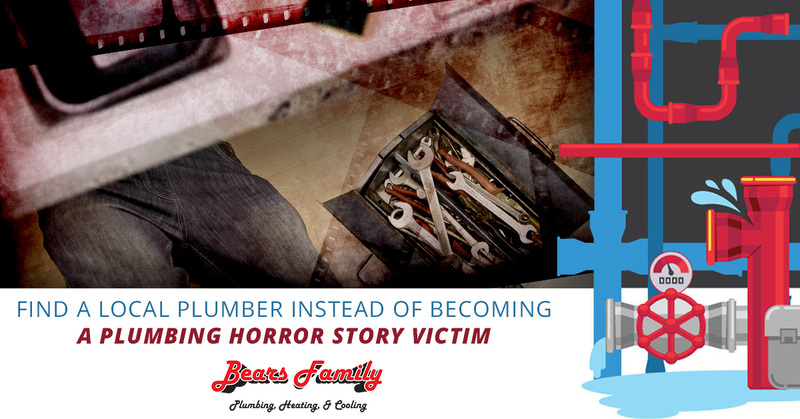 As we’ve done with a few different posts of the past, we just haven’t been satisfied by only one post regarding the current subject — plumbing horror stories. In our previous post, the veritable part one of this informal, two-part series, we took the time to highlight a few DIY nightmares. We bring up that fact again so that we can remind our readers of another important point; we bring these stories up to partially amuse and entertain, but also to advise. Being accused of using “scare tactics” to dissuade a homeowner from trying to do an easy job themselves is the last thing we want. 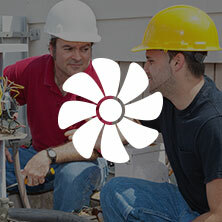 More accurately, we only wish to shine the spotlight on a few circumstances when it is the best choice to call your local plumber, rather than heading into uncharted waters when property, comfort, and safety are all on the line. Now that we’ve gotten that disclaimer of sorts out of the way, let’s get to the fun stuff. Read on if you are interested in hearing some fascinating, if not disgusting, stories about sewage, plumbing, and the like! Have you ever wondered what the limitations are on what you can and can’t flush down a toilet? We aren’t referring to what you can fit into a toilet’s drain, of course, but are referring to the damage you can cause by flushing the wrong type of material down the pipe. We might have to dedicate an entire blog post to this topic in the near future, but for now, be advised that there surely are multiple stories based on each of these listings found below. Here’s what you categorically should not flush down your toilet, no matter how tempted you might be. Grease And/Or Food – Don’t roll your eyes, you might be surprised by how many people choose to forgo using their sink for grease draining in favor of the toilet. We aren’t sure why, but people like to do that. Don’t be like those people. Feminine Products – It’s a simple no. Don’t do it. Even if it’s not your toilet. Pay it forward. Use the Golden Rule. Be the change you want to see in the world. You get it. Pills – Pills can impact the condition of groundwater in a not-so-good, toxic kind of way. This can affect wildlife, nature, and even people. Cigarette Butts – Each toilet flush uses around three gallons of water. This is a waste. Cotton Balls – Cotton balls, along with q-tips, do not naturally break down in your toilet’s water, as opposed to cotton-made toilet paper. Cotton balls clump up together. This can clog your drain or cause a burst pipe. Dental Floss – Floss is not biodegradable and cause be harmful. Here are a few food-related clogged drain stories we found on the Huffington Post. Believe it or not, there’s no national plumber forum where we exchange these stories, so the HuffPo will have to do! While we can’t say we’ve encountered scenes quite like these, you might be surprised at some of the crazy stuff people call their Loveland plumbers about. But no matter what kind of predicament someone might get themselves into, we’ll always be here to provide affordable plumbing repair service! 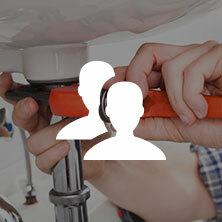 Also found in our previous post is an anecdote of an inexperienced, unlicensed plumber taking advantage of homeowners who are in a panic and are in need of emergency plumbing services. In the same vein, we’ve heard about handymen who have the bad habit of making grandiose promises at cut-rate prices. Here’s an example from Mike Diamond and his plumbing services. We couldn’t agree more, Mike. Let the experienced, trained, licensed, and local professionals (like us here at Bears Family PHC) take the wheel when you run into a dicey situation. We’ll leave you with two stories from Steve Ferguson, who owns Mr. Rooter Plumbing of Oakland-Berkeley, California. Yikes. Sounds like a good time, the night before, though. Raccoons are resourceful, intelligent creatures, and they no doubt became that way by eliminating weakness from the gene pool. Here’s one more example of Darwin’s “survival of the fittest” theory in full effect. It’d be nice if they did their evolving in some place other than pipes, we’d warrant. 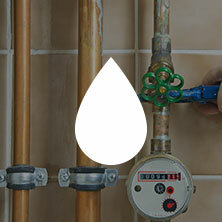 If you are in need of Loveland plumber or Fort Collins plumbing repair services, we’ve got you covered! Contact us today.